Your plumbing is one of the most important parts of your home and the comfort that you and your family depend on every day. 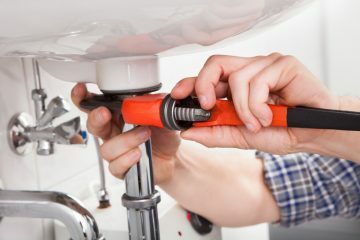 When you need to have plumbing work done in your home, it is important to know there is someone reliable to call that you can trust. Sometimes our plumbing systems give us subtle signs that something is wrong, but we’re just too busy to notice. If you want to catch small plumbing repairs before they get bigger, keep this list of warning signs handy. If you notice a sudden and unexpected spike in your water bill one month – a leak or other plumbing issue is probably to blame. Even small leaks can cause massive problems when they give rise to mold and mildew. Look for the tell-tale black and white spots that indicate mold growth, then search for the leaky pipe or faucet that’s helping them grow. If you can’t find the source, call us for plumbing services. Do you ever reach for the cotton balls under your bathroom sink, only to find that half the bag is mysteriously wet? Unexplained water pooling under cabinets or around appliances that use water is a tell-tale sign that there’s a leak somewhere. A foul odor coming from your drain can be indicative of a clog somewhere in the system or a dried out trap. Call us at Karkos Heating Services for prompt plumbing service so you can stop spraying air freshener everywhere you go. Discoloration of your faucet water, even when very slight, could indicate that your water heater is on its last leg. Don’t wait until it fails completely! Call us for plumbing services immediately.